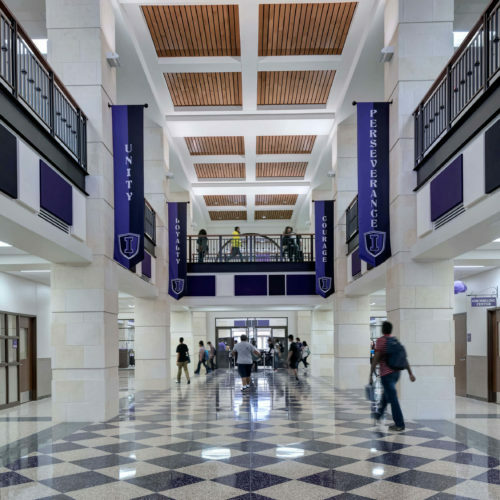 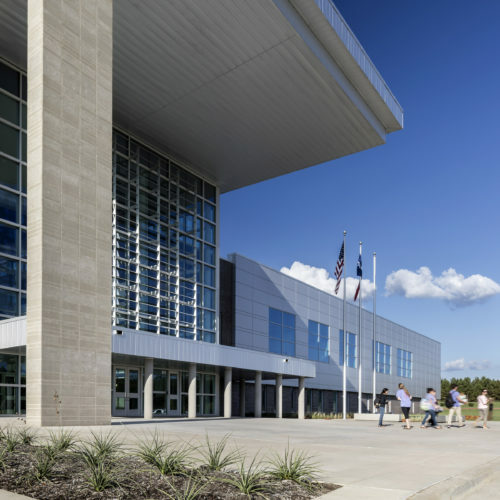 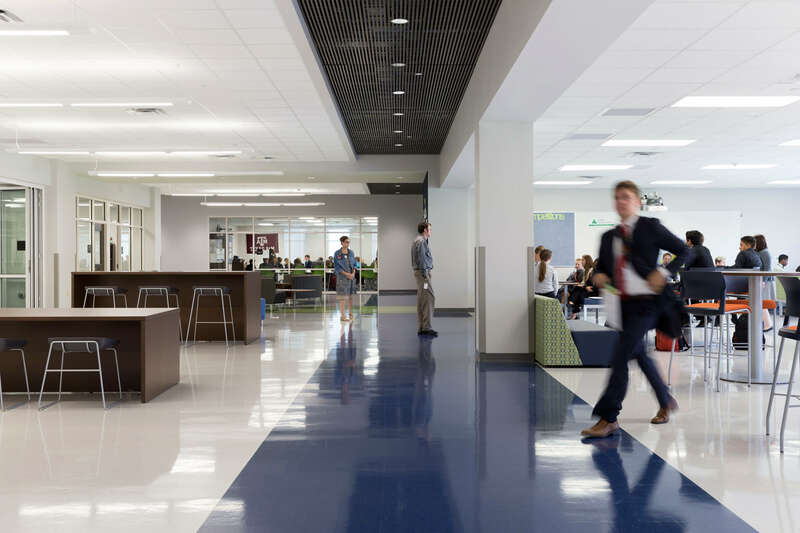 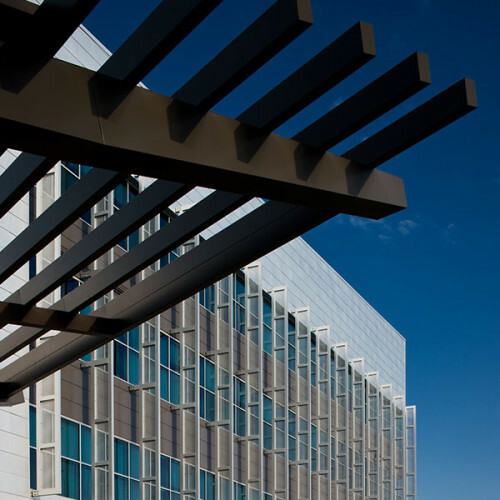 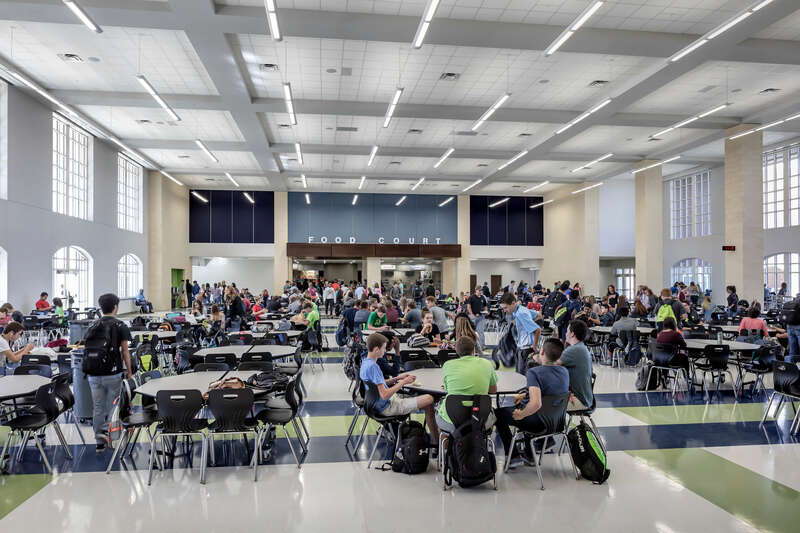 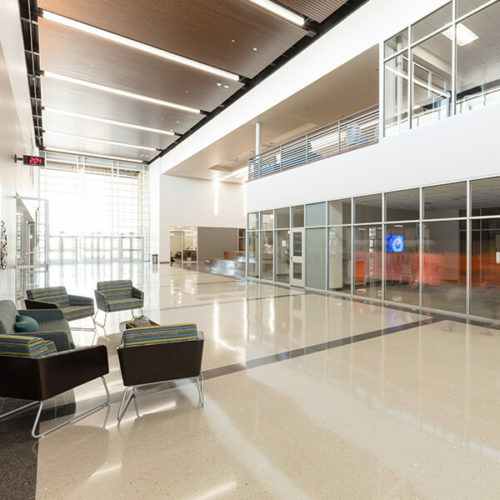 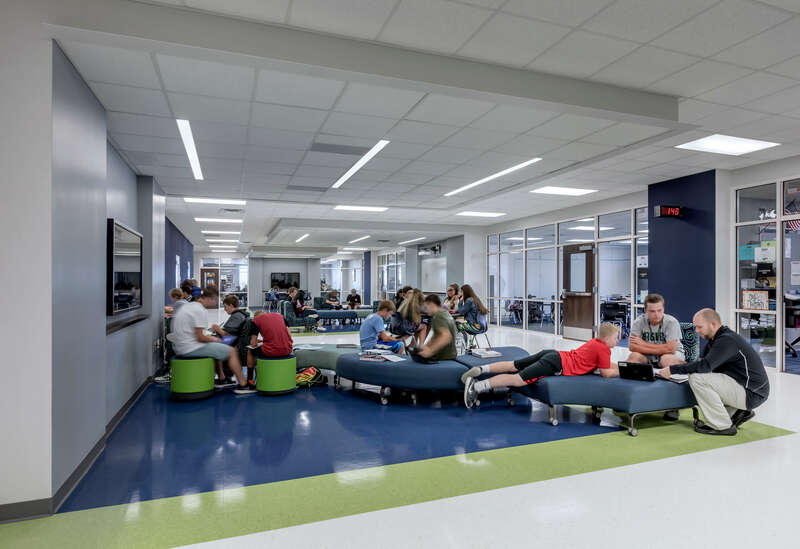 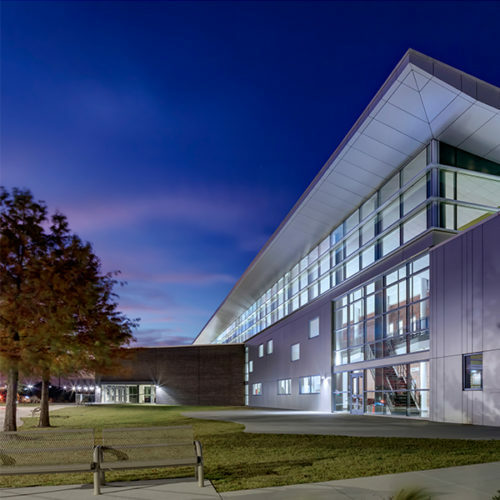 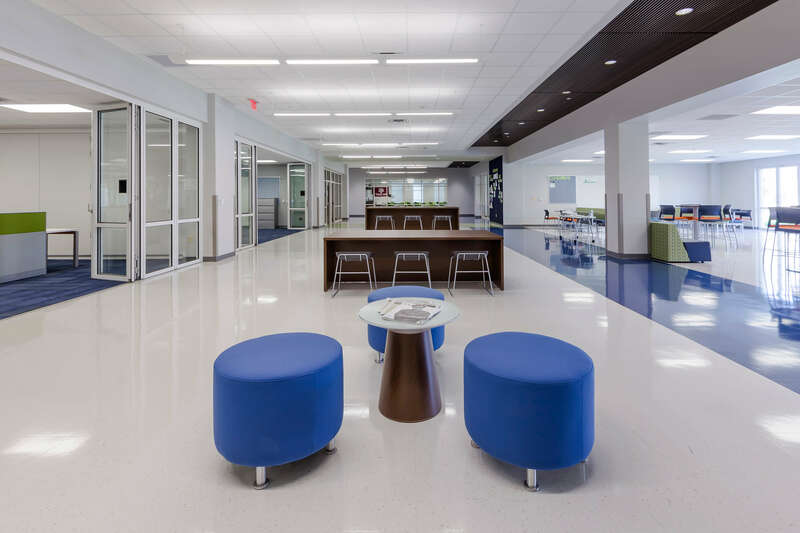 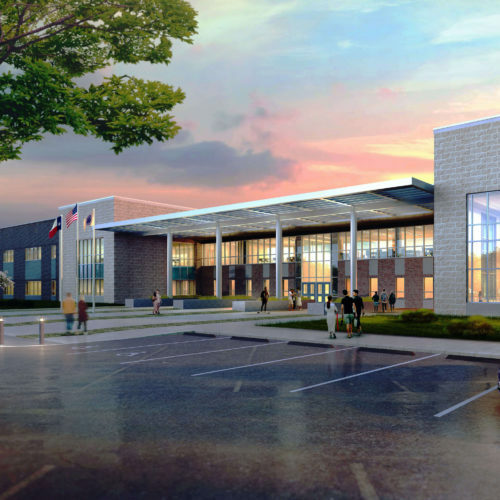 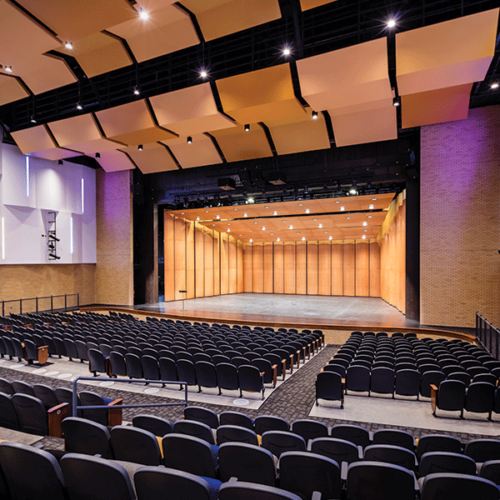 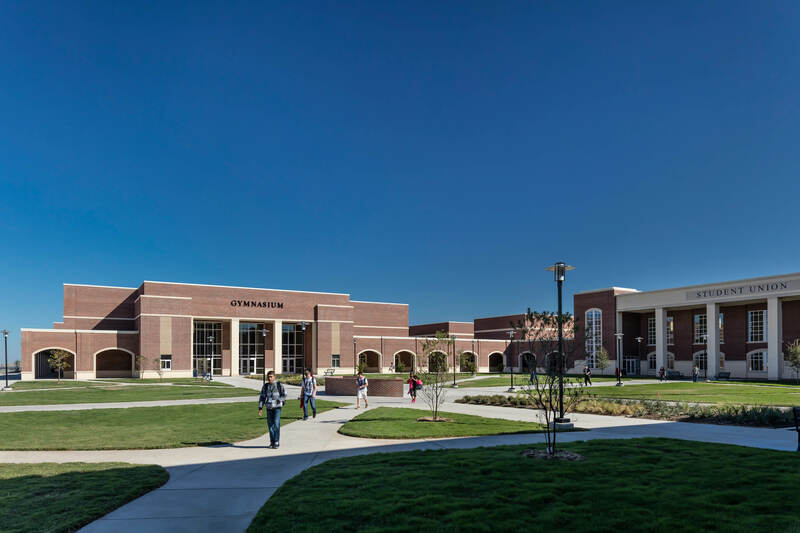 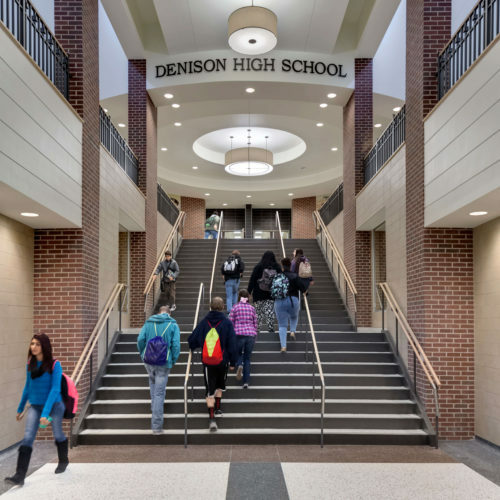 Eaton High School is a 2,500-student, 525,00-square foot-facility, designed to incorporate a project based learning platform with cross curricular instruction. 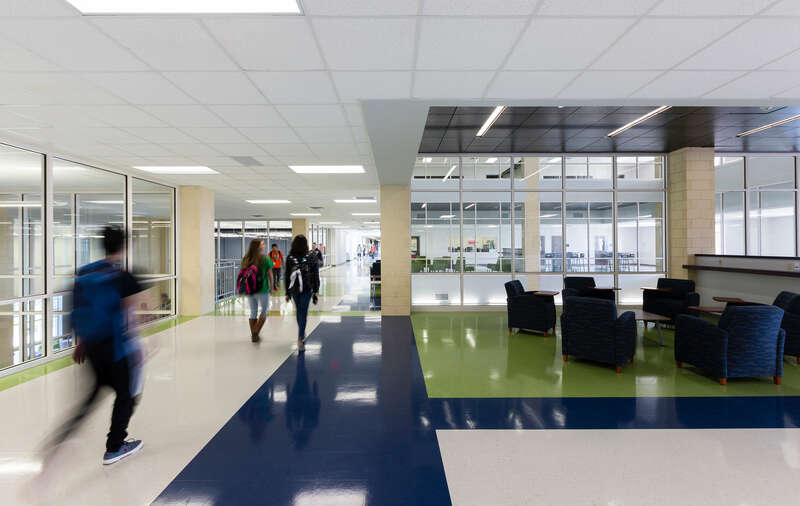 The classrooms are segmented into houses made up of two pods with ten classrooms and one science lab in each pod. 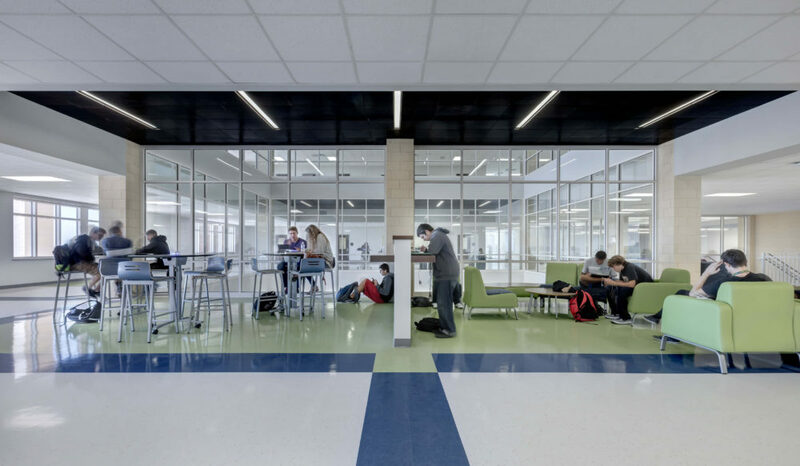 The pods are organized with the classroom around a large multi-function collaboration space which can become an extension of the classroom providing students space to work in small and large groups. 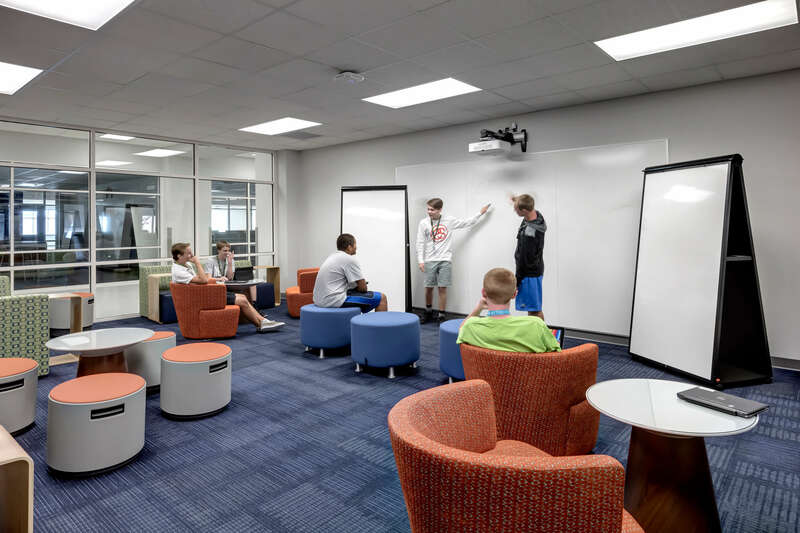 The collaboration space is provided with multiple interactive technology stations to promote student collaboration where they can work in small groups, sharing information on wall mounted monitors, white boards, or at juice bars. 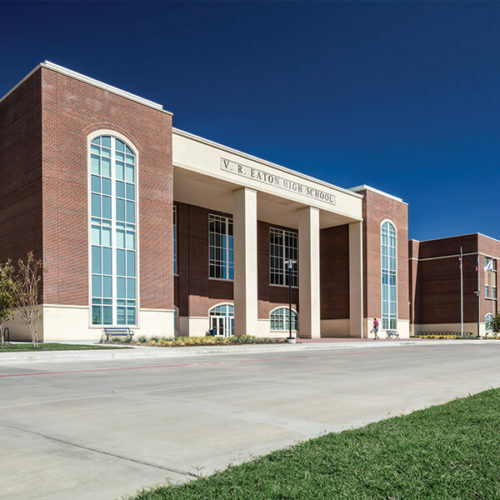 In addition to the classroom houses, the facility includes a 30,000-square-foot business management and entrepreneurship academy. 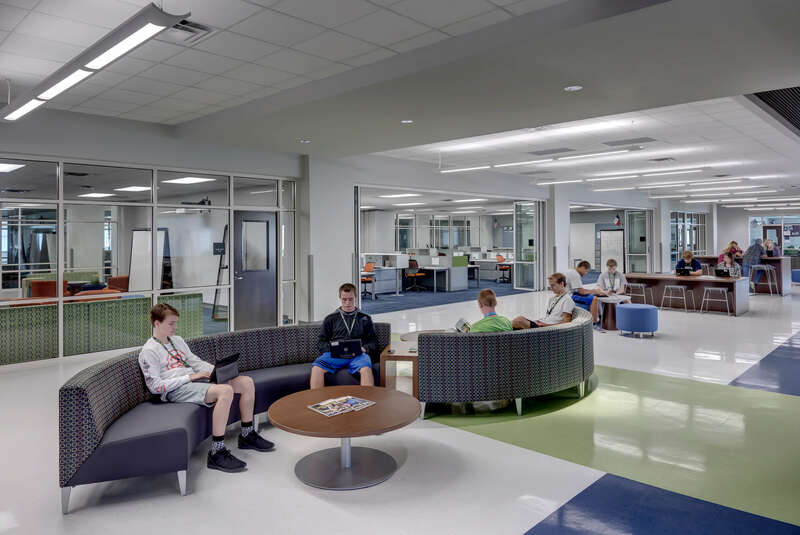 The school academy space provides a real world environment for students that include flexible instructional spaces, flexible collaborative spaces, small and large work rooms, a think tank space and open office cubicle space providing an office environment for students and faculty. 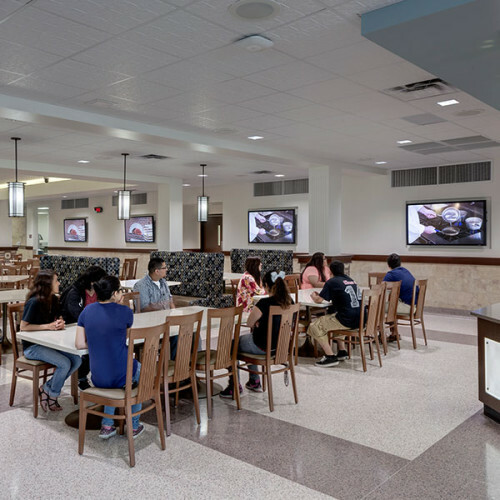 The academy is a flexible space where students run virtual business in a professional environment, and can adapt to the needs of the users throughout the day. 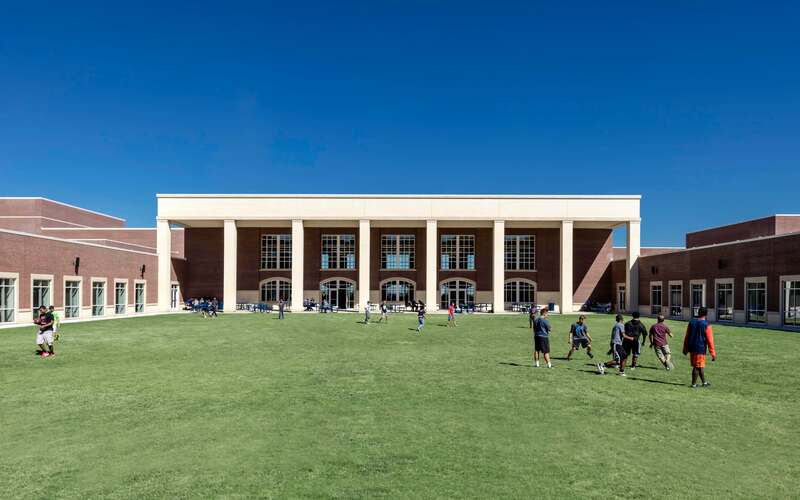 The campus also includes a flexible library, performing arts center and support spaces, competition gymnasiums, indoor practice field and sports fields.